Saudi Arabia has denied Doha-based Al Jazeera news network to cover the Muslim Hajj ritual, doubling down its position against Qatar in the regional dispute. Aside from the ban, Saudi authorities have also prevented the network’s journalists from performing the pilgrimage. For Yasser Abu Hilalah, Head of the news network, the refusal is unacceptable and is tantamount to politicization of the religious ritual. “Because of the politicization of Hajj, the journalists of Al Jazeera were prevented from covering an event that concerns the whole world, just as they were denied to practice one of the Islamic pillars that is imposed by Allah on them, and to God we complain!” Hilalah said. Saudi Arabia, United Arab Emirates (UAE) and Bahrain, plus Egypt have boycotted Qatar since June 5 over allegations that the tiny gas-rich country sponsors terrorism and threatens their internal security. The four countries in their boycott have also targeted Al Jazeera, which they say incites unrest and opposition against their leadership establishments. 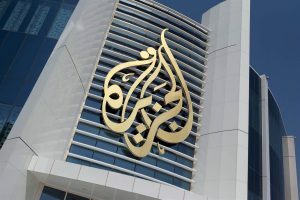 The quartet had already closed down Al Jazeera in May following publication of incendiary remarks attributed to the Qatari ruler, who was said to have praised Iran as regional power and made friendly comments about outlawed Muslim Brotherhood, Hamas and Hezbollah; blacklisted as terrorist organizations by the four countries as well as by the Arab League. Qatar rejected the remarks, pointing out that its national news agency website and social platforms were hacked. To thaw ties with Qatar, the four issued a list of 13 demands including the shutdown of the news network. Doha rejected the list and clarified that the demands were made to not be met. Written by: KanelkaTagba on September 1, 2017. Posted by KanelkaTagba on Sep 1 2017. Filed under Gulf News, Headlines. You can follow any responses to this entry through the RSS 2.0. Both comments and pings are currently closed.